The ICO is looking into a US report claiming Google knew it was harvesting data, and could prosecute the company in Britain. The Information Commissioner's Office (ICO) is studying a report by its US counterpart, the FCC, that claims Google knew it was collecting data using its Street View cars. 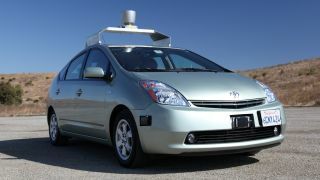 The cars collected information from unsecured Wi-Fi networks as they passed snapping roads for its Street View project. A spokesperson from the ICO said: "We are currently studying the FCC report to consider what further action, if any, needs to be taken. "Google provided our office with a formal undertaking in November 2010 about their future conduct, following their failure in relation to the collection of Wi-Fi data by their Street View cars. "This included a provision for the ICO to audit Google's privacy practices. The audit was published in August 2010 and we will be following up on it later this year, to ensure our recommendations have been put in place." The FCC report was published last month, claiming multiple Google employees knew exactly what was going on. The company previously claimed the data harvesting was accidental. It collected the info because an engineer (referred to as "Engineer Doe") thought the data "might prove useful for other Google services." The document read: "As early as 2007 and 2008, Street View team members had wide access to Engineer Doe's Wi-Fi data collection document and code, which revealed his plan to collect payload data." Info collected includes instant message conversations, URLs, user names and passwords. As many as one in four home networks could be unsecured, so make sure you encrypt your Wi-Fi.